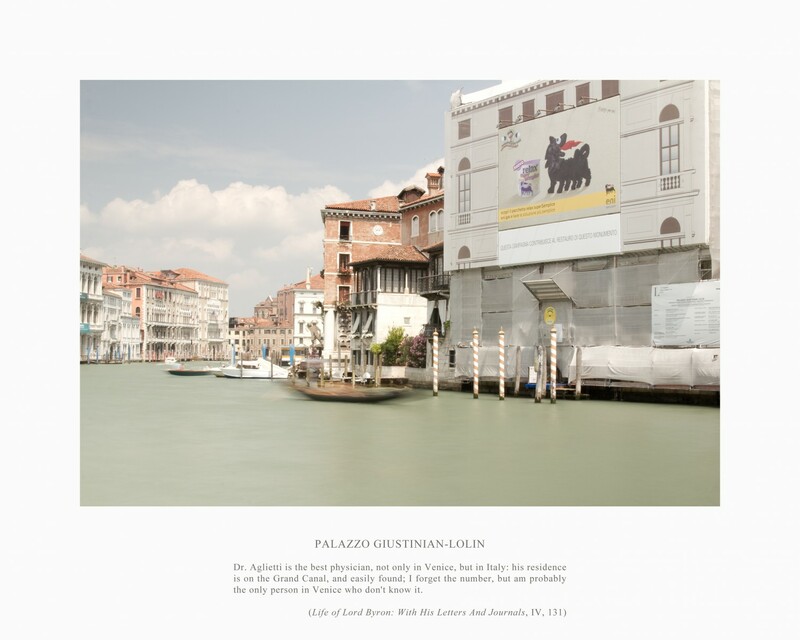 In a similar tradition to the mid-18th century vedutisti and the mass-tourists of today, the series »Lord Byron’s Venice« depict the city of Venice in an familiar style; that of the genre-painting and the photo-album. 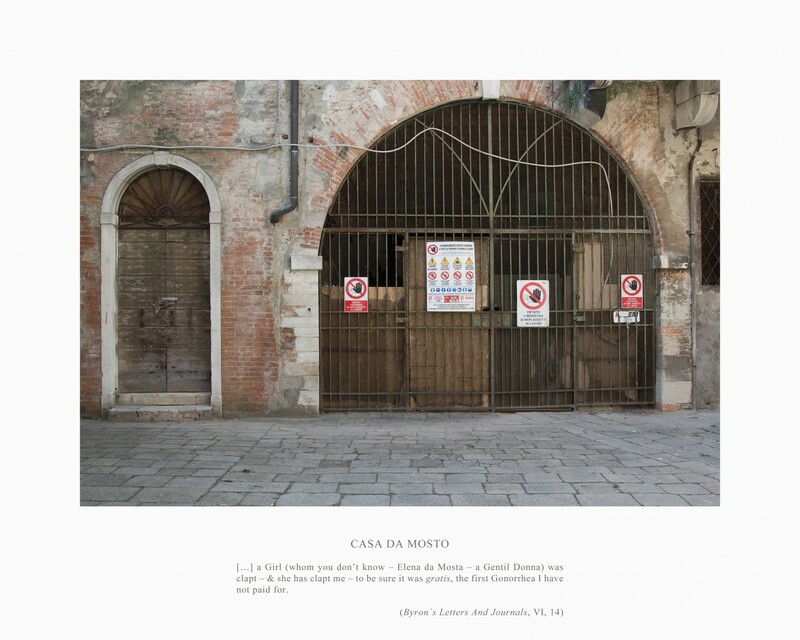 Each site documented by Hoflund has a connection to the english poet Lord Byron and follows a guidebook of literary tourism (i.e. 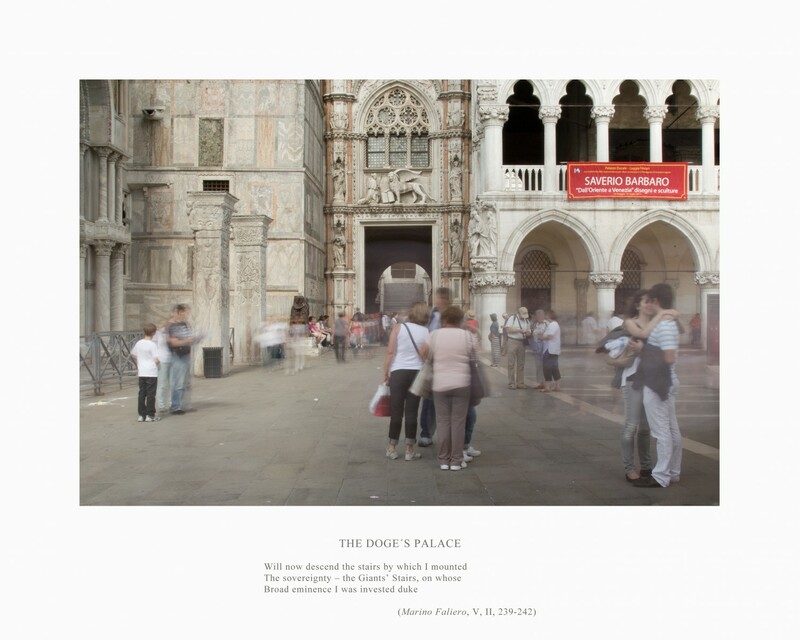 tourism that deals with places and events from fictional texts as well as the lives of their authors). 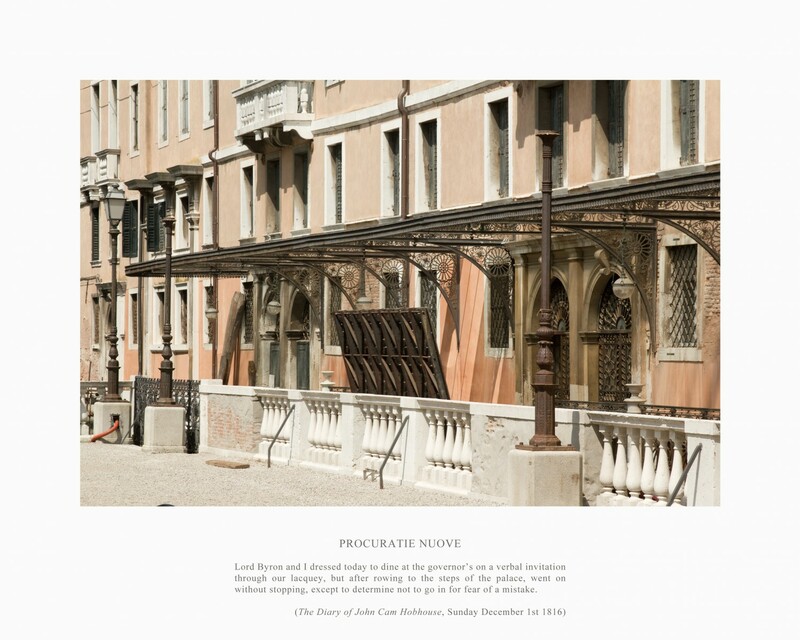 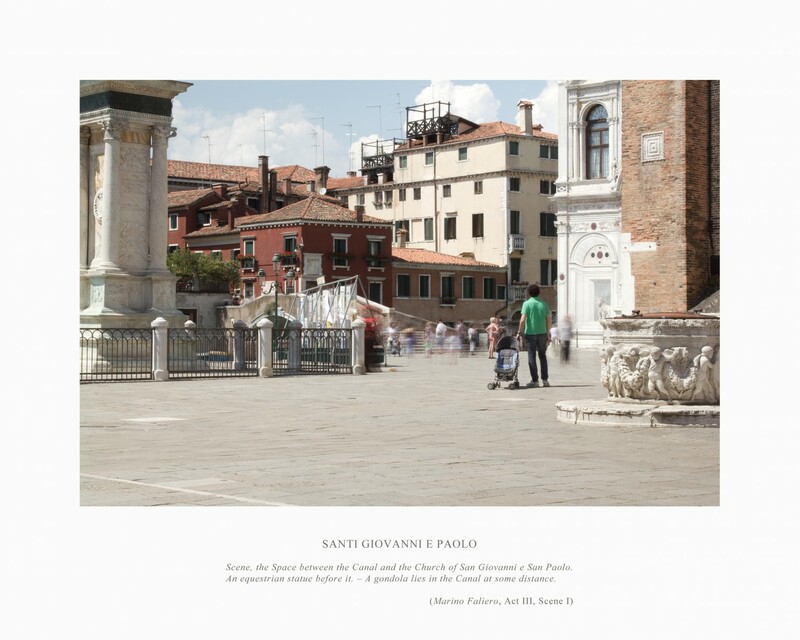 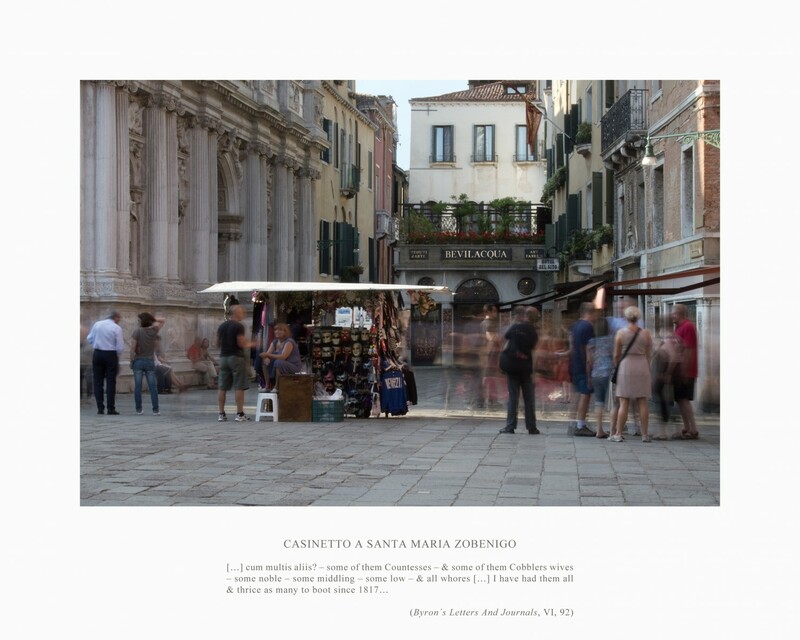 The history of visiting artists and writers, the spectator and observer of this “living museum”, have affected our spatiotemporal experiences and conceptions of Italy and has also a significant role in the economy and culture surrounding its tourism of today. 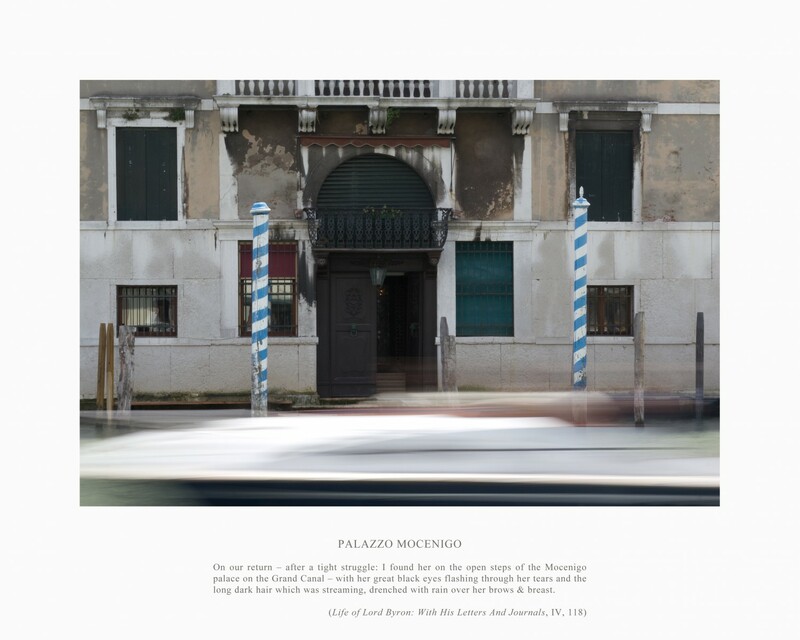 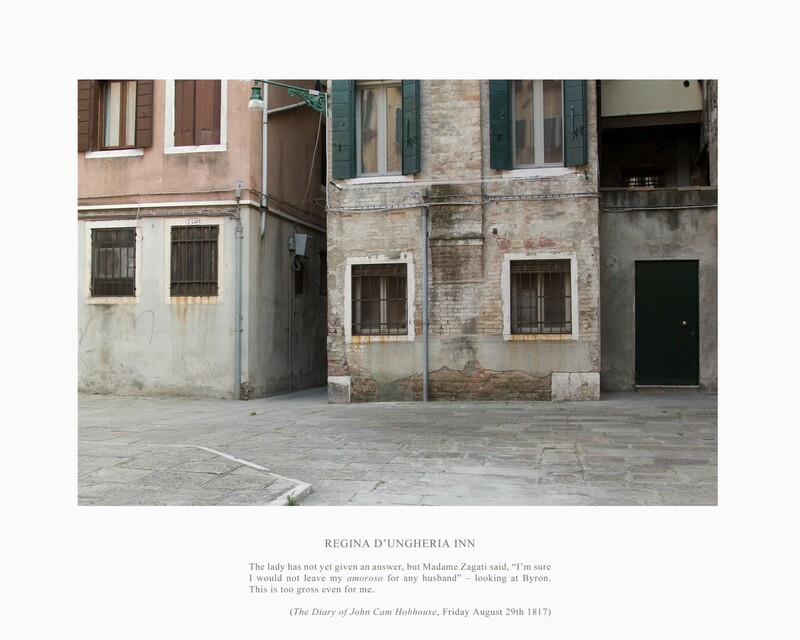 Hoflund’s photos of Venice tries to point out the valorisation of a physical place and its differences to the representation of a place. 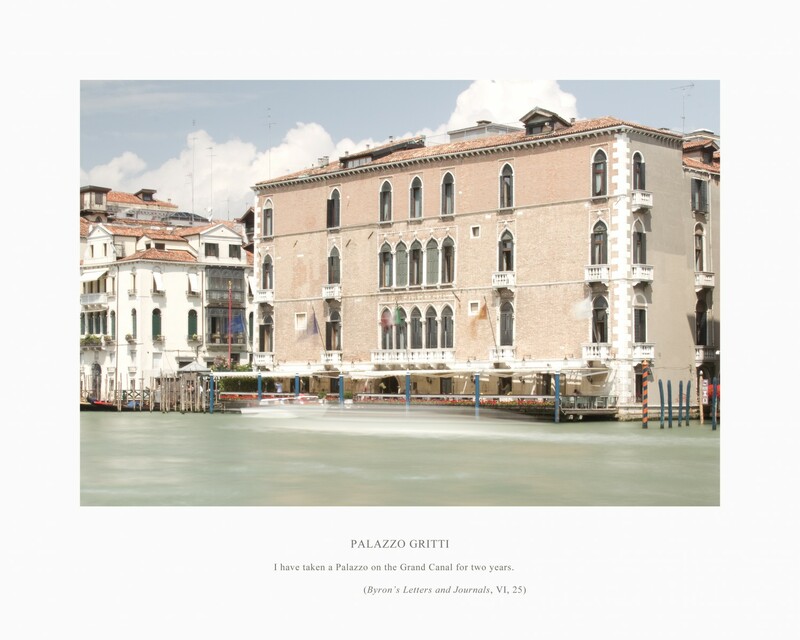 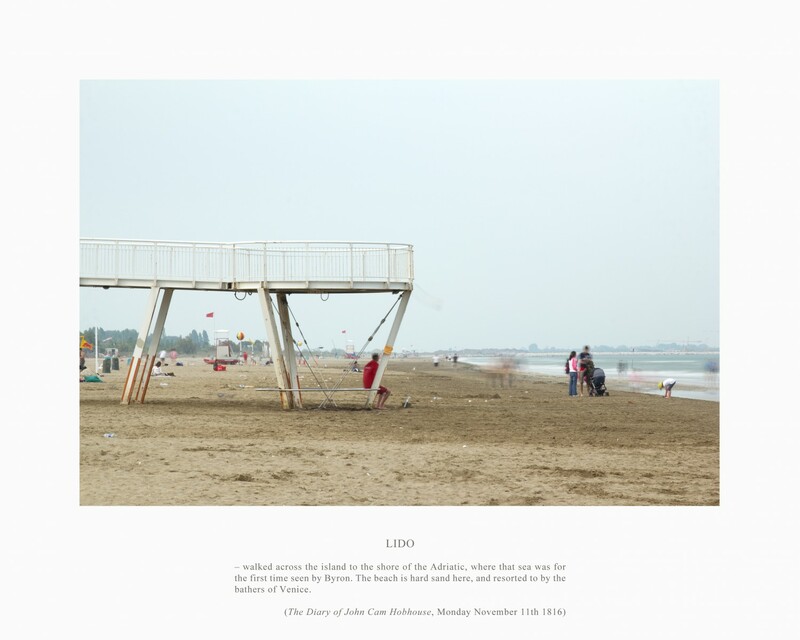 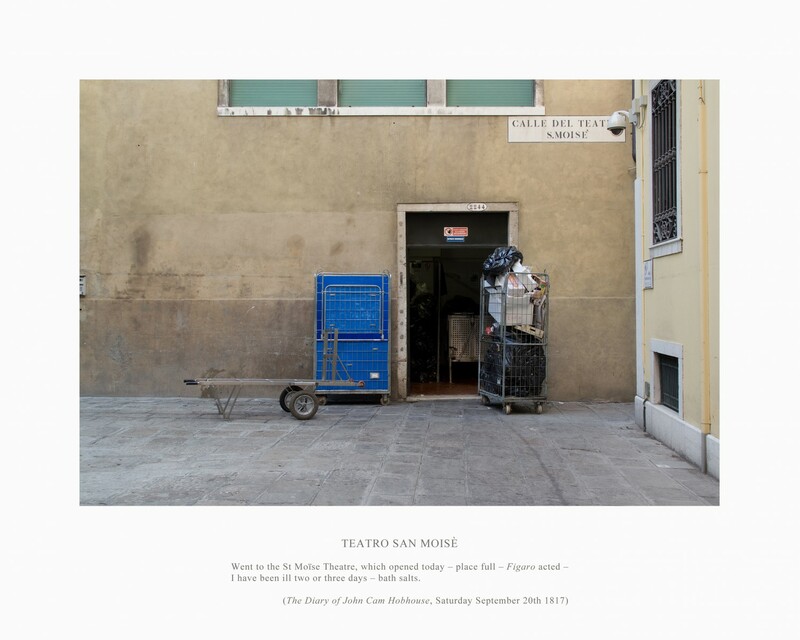 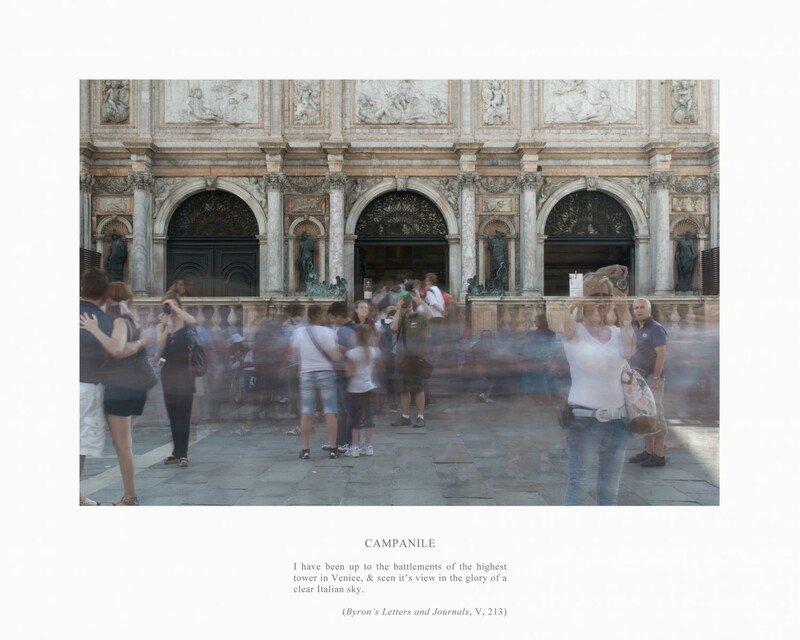 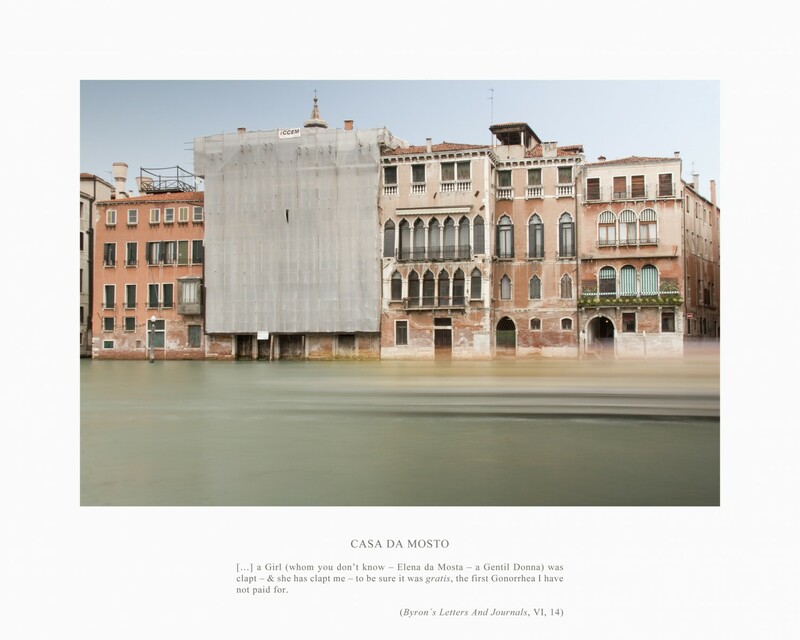 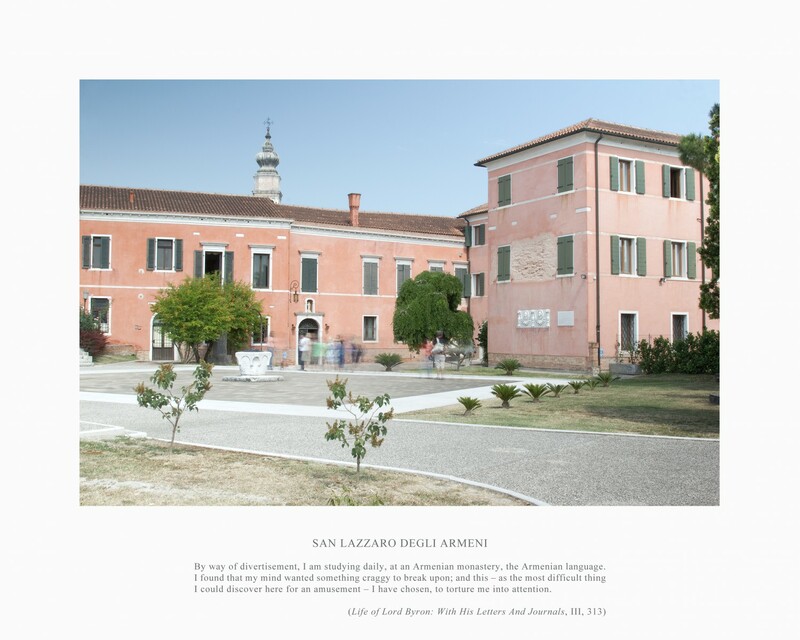 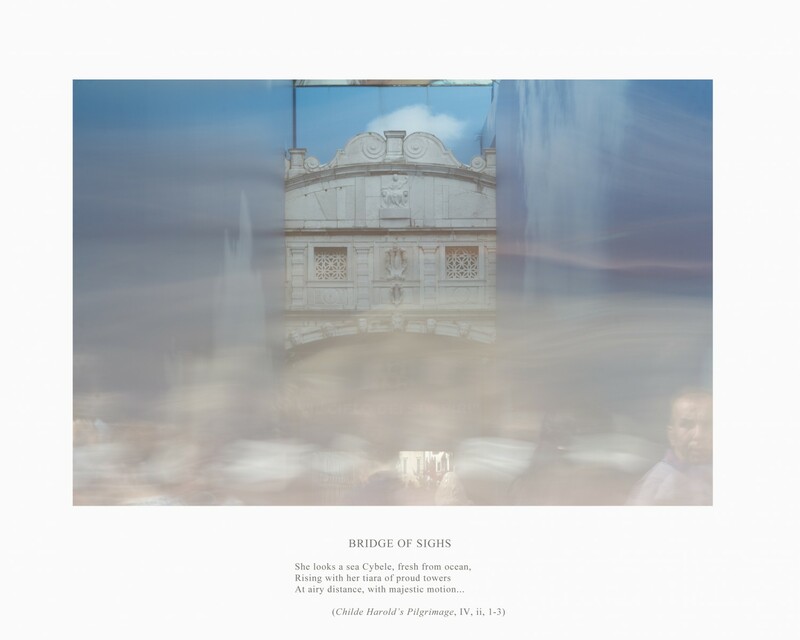 By revisiting the sites of the Romantic poet Lord Byron, the work of Daniel Hoflund aims to mystify and demystify the imaged Venice and thereby address questions on heritage, tourism and the consumerism based on it.